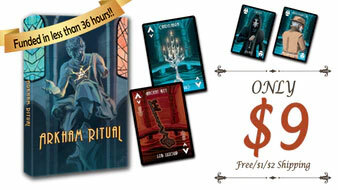 We are finally into March and with it, brings our first batch of Kickstarters of the Week for the month. There have been a lot of great campaigns on Kickstarter lately, which has been making it really hard to decide which projects to back. Unfortunately, we all don’t have unlimited funds for gaming, so hopefully we can still catch games we can’t back later if they make funding. But enough with that, on to the campaigns! ONLY $7! 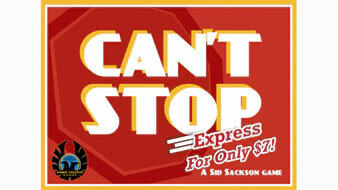 Sid Sackson’s legacy lives on in this GREAT DICE GAME for UNLIMITED PLAYER COUNTS! Choose your creature, outwit your opponents, capture the Mortals. 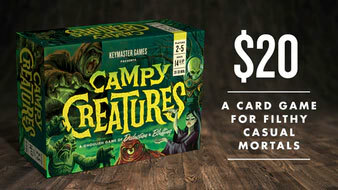 It’s a ghoulish game of bluffing and deduction for 2–5 players. 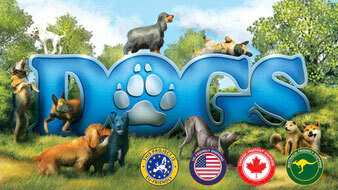 Dogs is a family friendly board game about rescuing man’s best friend. Pick up strays, care for them and be a hero! Deception, deduction and push your luck card game for 3 to 7 players. Keep your sanity and escape from the horrific ritual alive! Shocked you haven’t included the Monikers expansion by the SU&SD crew. Thanks for the comment. It’s a bit early for Monikers for us, we tend to feature campaigns near the end of their run, so people can have a full idea of everything its offering. That being said, to be honest, the Monikers expansion campaign doesn’t really excite me all that much.